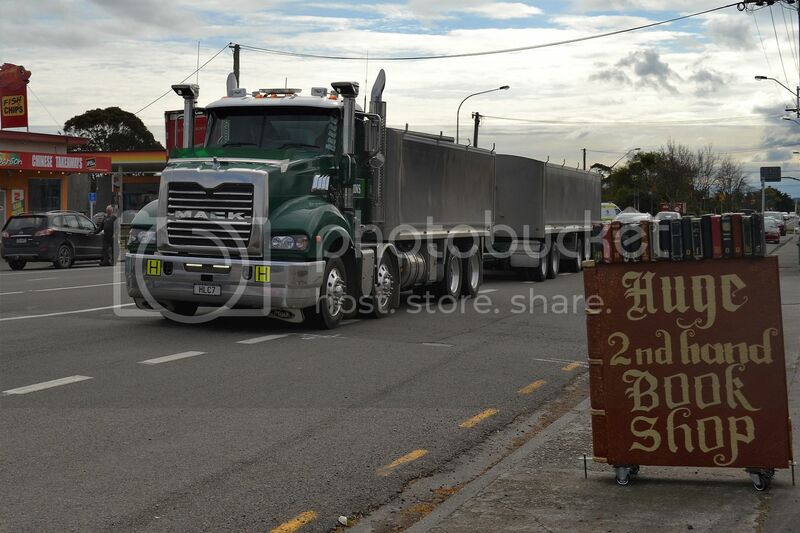 A day trip to Wanganui yesterday resulted in these photos. 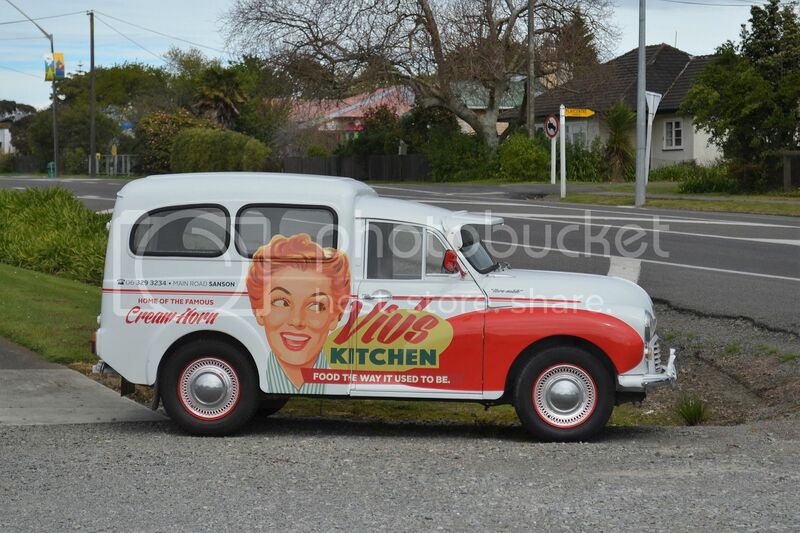 Cute little Morrie 1000 mobile billboard. 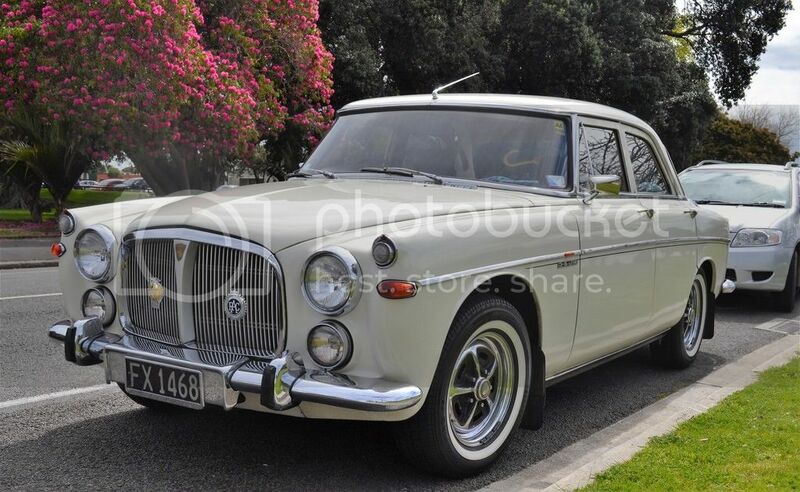 Very nice 1972 Rover P5B saloon parked in Wanganui. 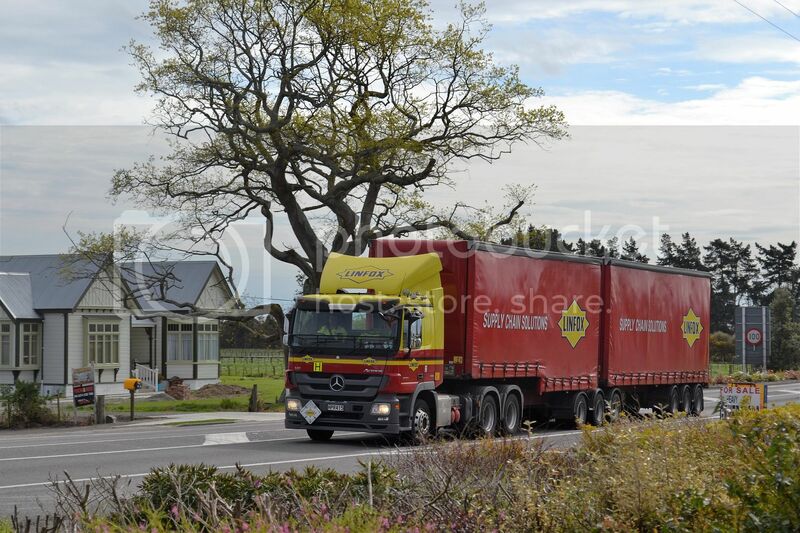 Near new Hall's Western Star, has only been on the road less than two months. 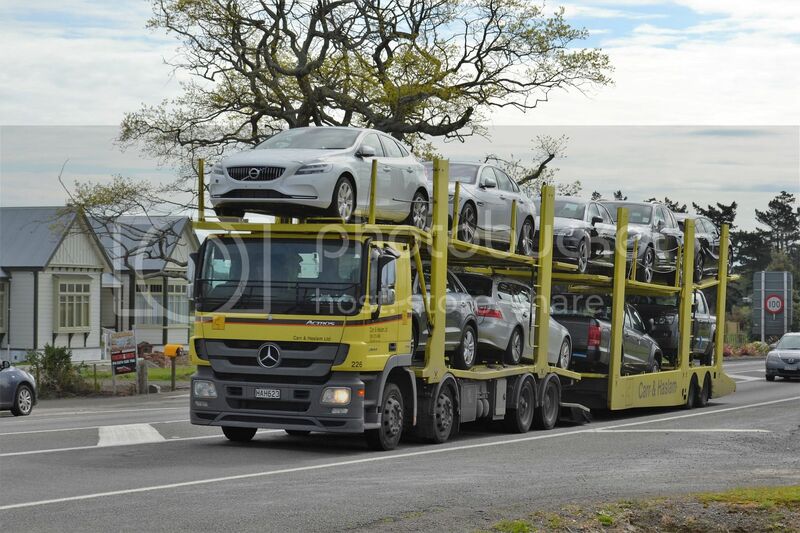 One of the many Linfox Mercedes Benz on the road of NZ. Carr and Haslam is another big Benz user. 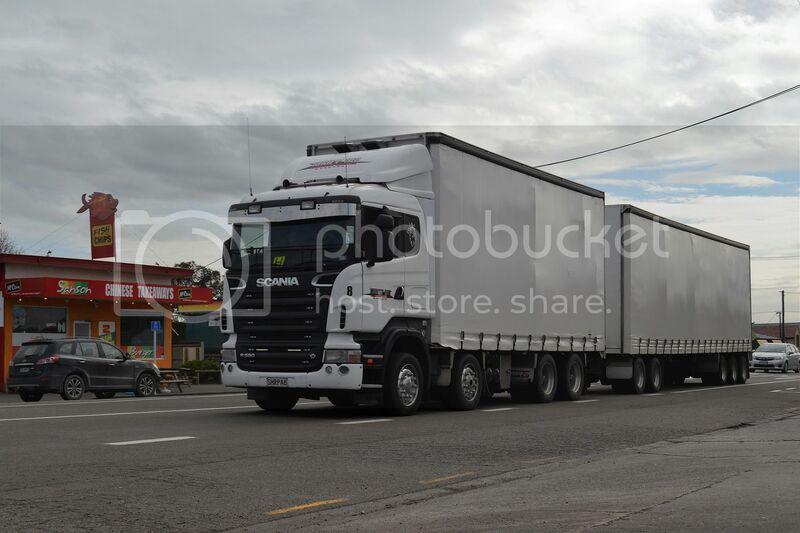 Scania still looking smart after 9 years on the road. Another 9 year old rig would have done some hard work for McCarthys, but is still not getting a rest. 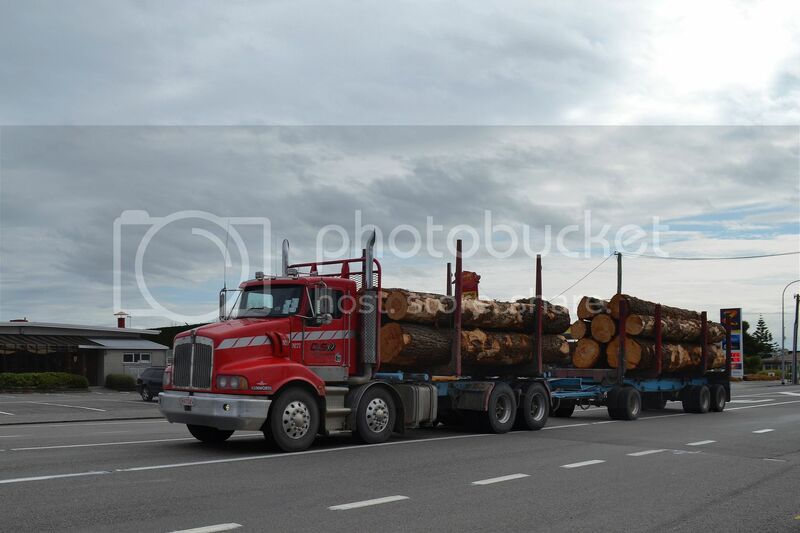 Higgin's 2014 Mack Trident looks almost new. 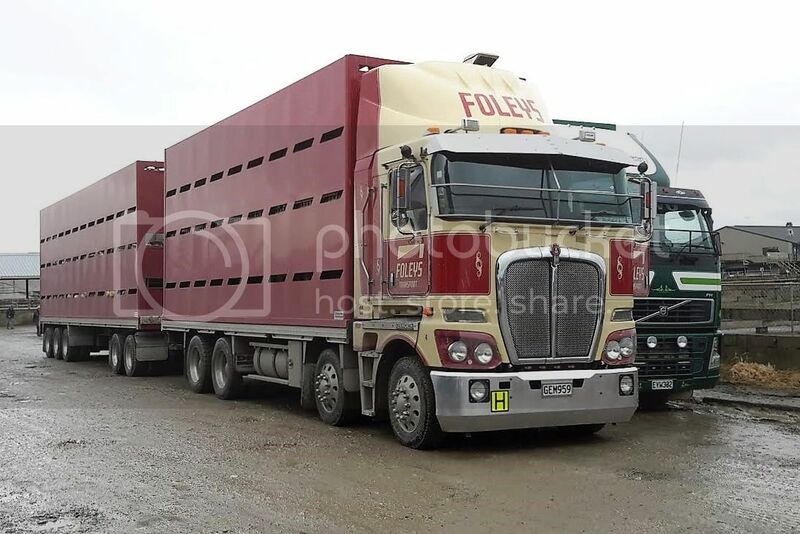 No rest for this 15 year old Foden, which must have done more than a million by now. 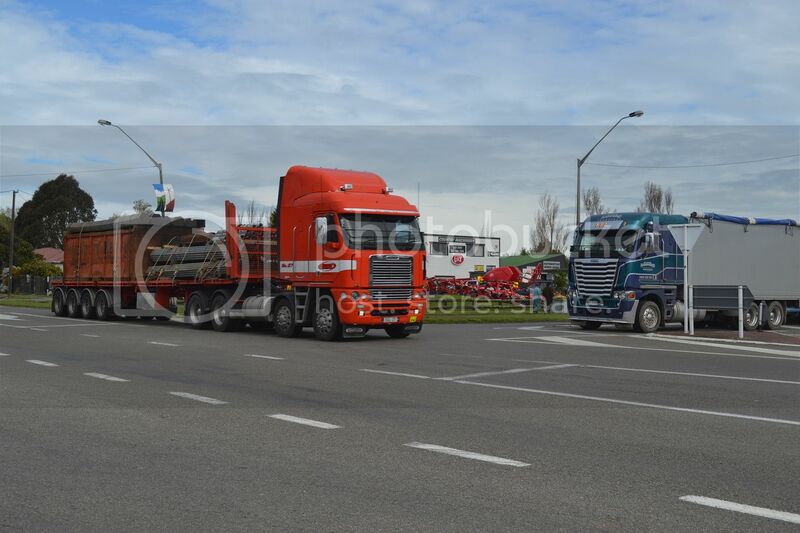 Two different model Freightliner Argosys greet at the intersection of Dundas Road and Wellington Road where State Highway 1 turns at Sanson. 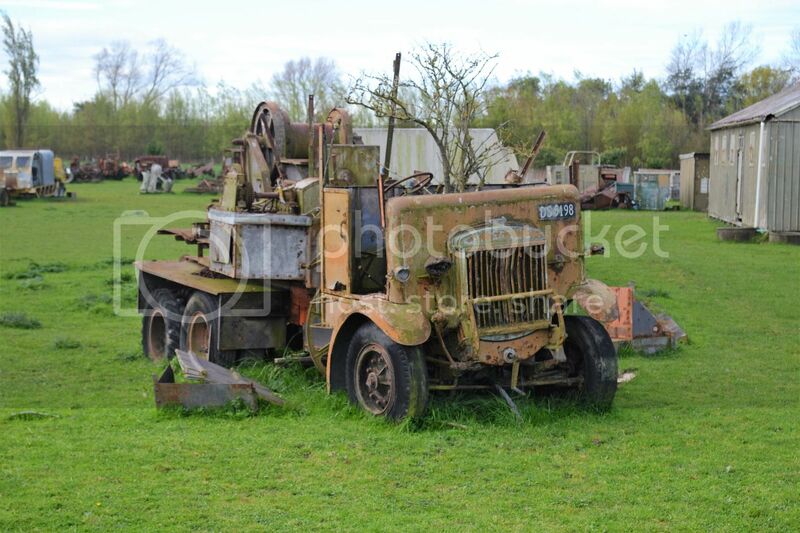 Saw this in a field near Palmerston North. I wasn't sure exactly what it was until someone on facebook identified it as a Guy. 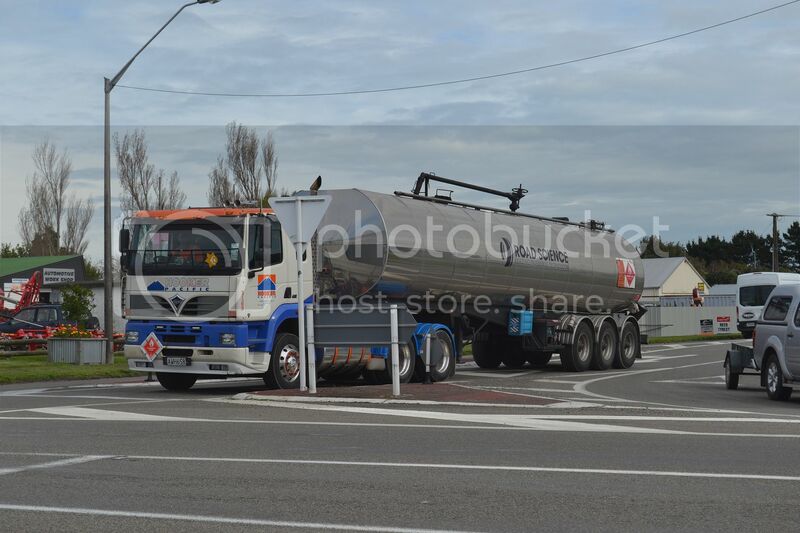 Max has sent some photos he took in Feilding recently. 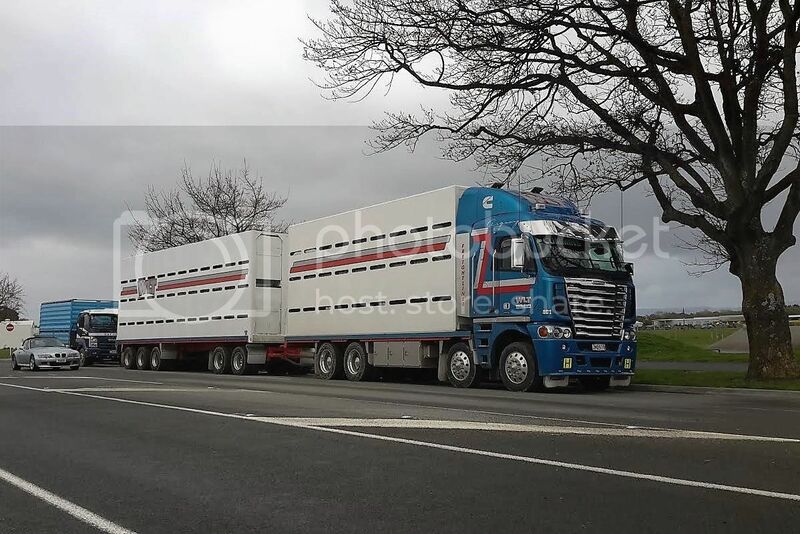 WLT (Wairarapa Livestock Transport) 2015 Freightliner Argosy nicely posed. 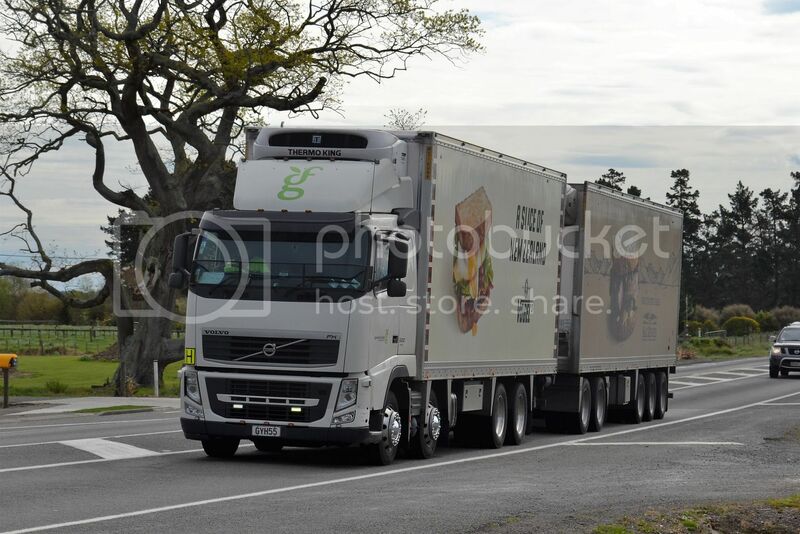 A mixture of brands at the Feilding Saleyards. 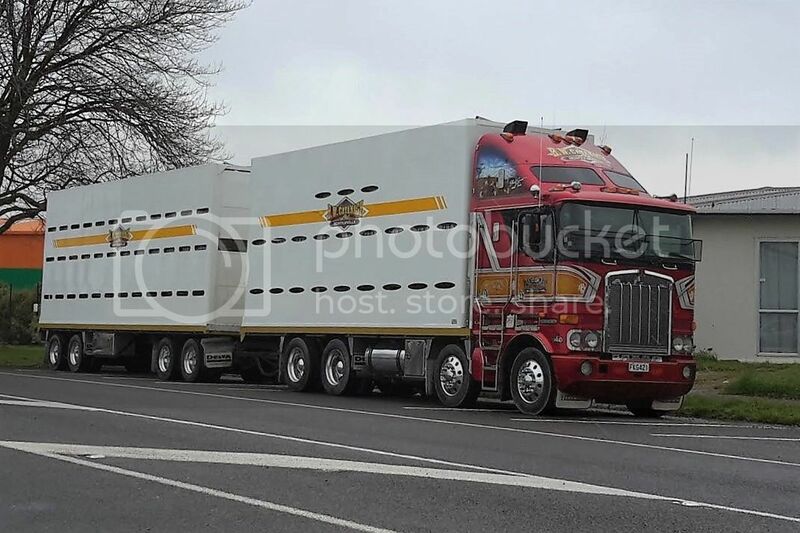 2010 Kenworth K108 with the now superseded cab and its traditional grille. 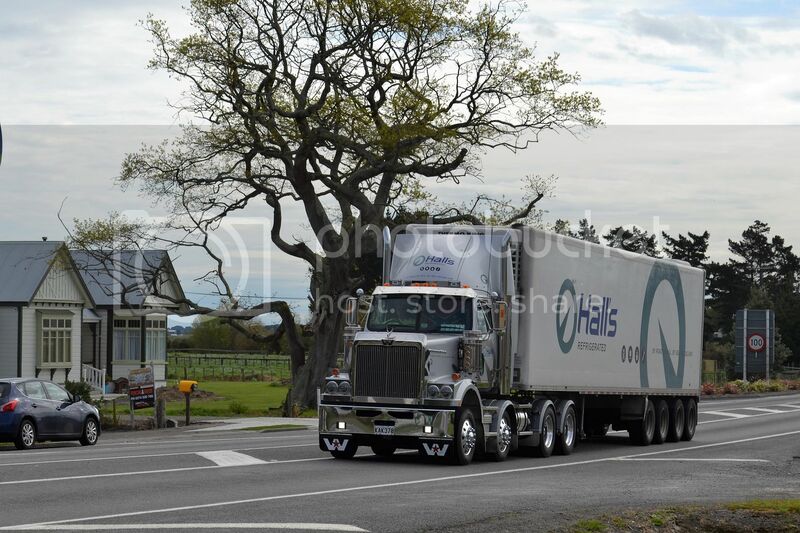 2015 Kenworth K108 with the current cab and more modern grille. 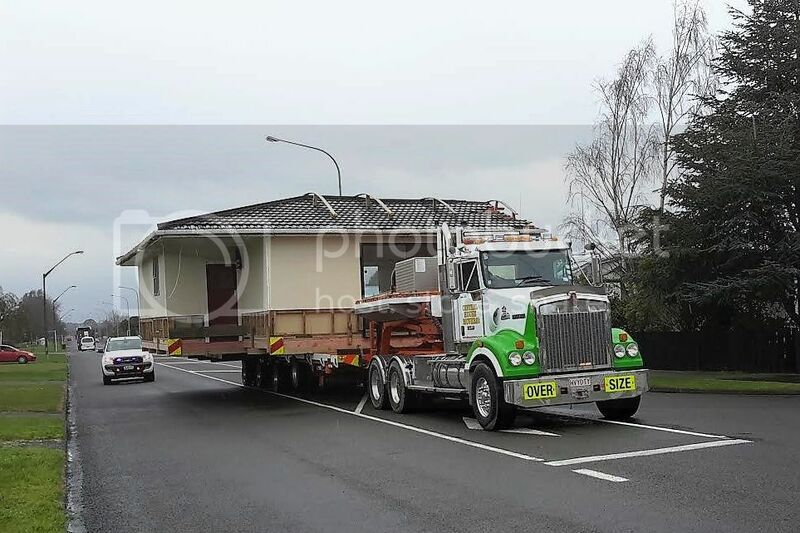 2015 Kenworth T409 relocating half of a house.